How could a debauched sinner be “a man after God’s own heart?” This and other relevant questions are answered in this 12 CD presentation. 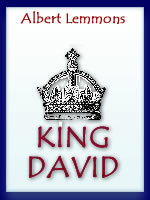 David cut a wide swath through the meadow of Jewish history and the larger field of human redemption. His military successes so cast an image of what his son, the Messiah, would do, that even the hand-picked 12 apostles who were bosom close to Jesus during his 3 years ministry didn’t have a clue regarding the identity/nature of his kingdom. Could a man sin like David and go to heaven? Yes, if one could repent like David did. It requires a supernatural work of grace for a sinner like David to say in Psalm 109:4 in Hebrew veani teflah—I am prayer!